So you downloaded that pretty Aluminum Notification Center theme mentioned in our iOS 5 WinterBoard video walkthrough, and it didn’t work; now what? Fortunately there’s a workaround for the Notification Center theme issue, as many people made me aware of after our video went live late last night. 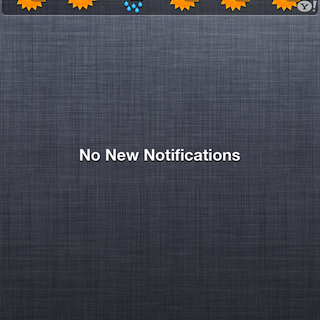 Step 1: Follow our WinterBoard walkthrough to install a new Notification Center theme. Step 3: Make a backup copy (optional) of ‘com.apple.SpringBoard.notifica­tionCenterLinen’ and delete the original. Step 4: Respring. If you don’t have SBSettings or other respring tool, you can respring via WinterBoard. Step 5: Open Notification Center, and you should see your new theme! Special thanks to everyone who sent this tip in to me. You are too numerous to name. It’s obvious that you guys are really passionate about your WinterBoard themes! By the way; what do you think about that iCloud-esque Aluminum theme? I think it’s pretty slick.